Low-cost carrier Cebu Pacific (CEB) says it will seek additional traffic rights for Philippine carriers to Australia in upcoming talks in Canberra. Cebu currently flies five times a week between Manila and Sydney with Airbus A330-300s and is unable to increase frequencies as Philippine carriers have utilised their full capacity entitlements under the bilateral air services agreement between the two countries. The airline said in a statement on Friday it would “participate in air talks which will be held in Canberra, Australia on April 28”. “In the first four months of operations, CEB’s low fares and direct, non-stop services significantly stimulated inbound traffic into the Philippines and Australia,” the general manager for Cebu’s long-haul division Alex Reyes said in a statement. In addition to Cebu, Philippine Airlines flies from Manila to Sydney, Melbourne and Brisbane via Darwin. Among Australian carriers, Qantas has has four times a week service between Manila and Sydney. Qantas’s low-cost subsidiary Jetstar previously flew from Darwin to Tokyo Narita via Manila. Capacity for Philippine flag carriers to Australia is limited to 6,000 seats a week to Brisbane, Melbourne, Perth and Sydney, with unlimited capacity to other Australian ports. Currently, about 2,200 seats a week have been allocated to Cebu Pacific and 3,800 to Philippine Airlines. 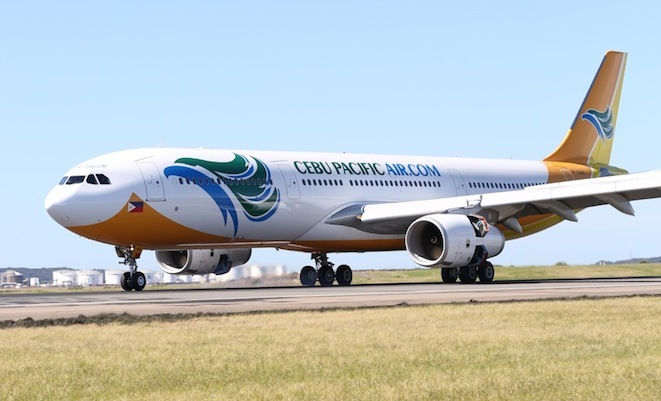 Cebu, the Philippines’ largest carrier, launched its service to Sydney in September 2014 with 436-seat single-class A330-300s and initially flew four times a week on the route, before increasing the frequency to five times weekly in December. If our government treated Filipinos like other South East Asians regarding visas there would be a lot more visiting Australia.